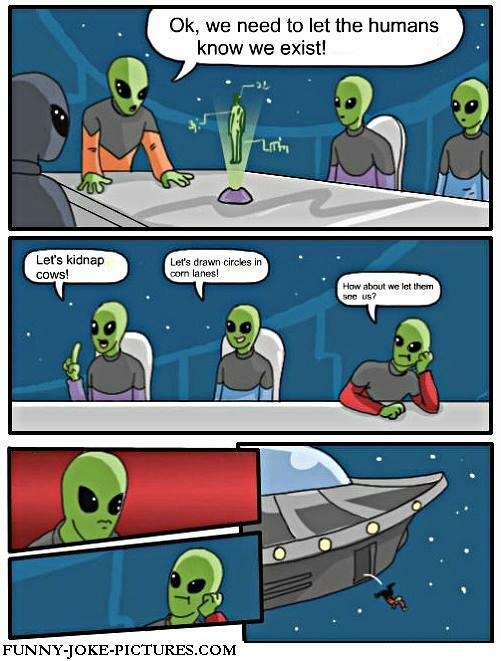 Funny Alien Cartoon Joke - Ok, we need to let the humans know we exist. Let's kidnap cows. Let's draw crop circles. How about we let them see us?